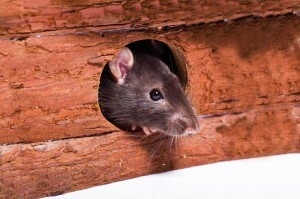 Rodent infestations are big problems for many of our clients. They breed fast and ruin the quality of life. Rats get into everything, contaminating food supplies and destroying properties. They leave tooth marks and disgusting droppings around the house. Letting these creatures run undetected mean increased risk for infection. Rats are carriers of virulent diseases and bacteria. You can catch a deadly disease by simply inhaling their droppings or coming into contact with a rabid rat. Adios Pest Control helps you bid goodbye to these annoying problems. We deal with all aspects of rodent control, from treatment to prevention, solving the problem at its source. Rats are clever creatures; normal methods, such as poison and traps, may not always work. Our years of experience in the business have taught us the right strategies to deal with these situations permanently. We minimize opportunities for rodent breeding through direct eradication methods. Rat nests and domains are history with our specialized cleaning techniques. These strategies flush rats out from their hiding places, making it difficult to retreat and breed anew. Choose our services and your rodent problems will be a thing of the past. Call us or visit our office for more information.